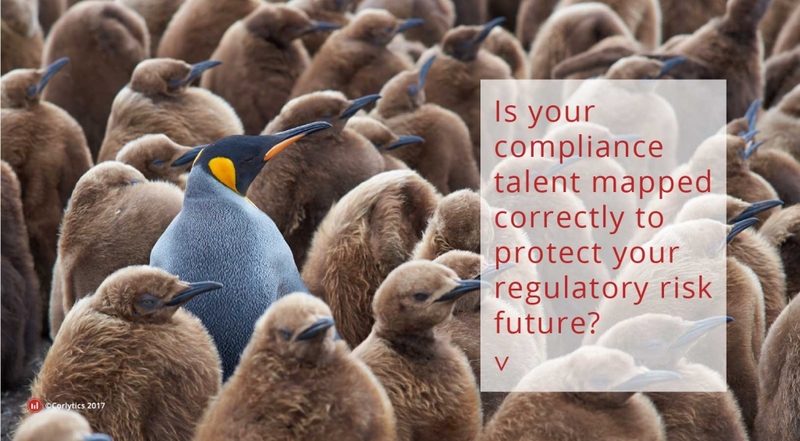 Is your compliance talent mapped correctly to protect your future regulatory risk? In the last ten years since the financial crisis began, banks and financial houses have taken on thousands of compliance professionals. The clear majority of whom are focused where the banks and financial institutions have previously been fined. This effort has helped in shoring up the defences and bringing specific areas of concern in order. People are the largest (and often most expensive) asset for large global financial institutions. Banks should be looking at how best to optimise the investment they have made in their staff. Once efforts have been made to shore-up the compliance processes, and internal mechanics brought in line with the regulators’ expectations, banks should be reassigning talent to potential upcoming hot spots. For example, both the frequency and amount of sanctions fines peaked in 2014, with a total of 33 serious fines with a total amount of $9.5 billion USD. Since then sanctions fines have tailed off to six fines so far in 2017 to a total value of $100 Million USD. Many financial institutions ramped up their sanctions teams in the past few years, but now that financial institutions seem to have come to grips with sanctions violations and the regulatory regime. They are beginning to wonder if staff can be redeployed to other areas of concern to ensure that they are fully compliant with regulations and the intention of regulators. By looking to spot trends, banks can redeploy highly skilled, professional compliance staff. Making better use of their human resource and putting solutions in place to protect the bank. This seems like a good idea, but how do banks and financial institutions map regulatory intent to interpretation? Currently most banks have no good way to assess this redeployment exercise. Meaning that significant resource is ineffectively deployed. Also, compliance teams aren’t best served to comply with the wider array of regulations facing them, to assess and prioritise regulatory risk. Right now, for every $1 top US banks spend on compliance, they are spending $3 in fines. This model must be fixed. Different regulators apply different enforcements models and processes. Corlytics has developed a taxonomy that structures enforcement notices enabling businesses to look across jurisdictions for common trends and patterns. This global intelligence means Corlytics can spot emerging trends that are otherwise invisible. For example, for AML/BSA violations, 2017 year to date has seen fines of over $1.25 Billion levied, as much as the previous 2 years combined. Maybe a deployment of staff towards this area would see better adherence to regulations and guidelines by properly aligning the best assets with the greatest regulatory risk. What’s even more interesting is looking at the emerging areas of risk in new areas of regulation. With MiFID II and GDPR just around the corner, are you deploying your resources properly to ensure that you are effectively dealing with emerging areas of regulatory risk? Ready to better map your compliance teams for tomorrow’s regulatory risk? Get in touch.